Jade Raymond may be mostly known to the public as the Producer and Executive Producer of the first and second Assassin’s Creed games, respectively, but she also served as the Executive Producer for Splinter Cell: Blacklist (and Watch Dogs, too). Released in August 2013 and made by Ubisoft Toronto, a studio that Jade Raymond founded back in 2009, Splinter Cell: Blacklist remains to this date the latest entry in the stealth action game franchise. In a new video interview with Gamereactor conducted during the recent Fan & Serious Festival 2019 in Bilbao, the creative and executive answered a couple questions on the evolution of Splinter Cell and Assassin’s Creed after she left Ubisoft. 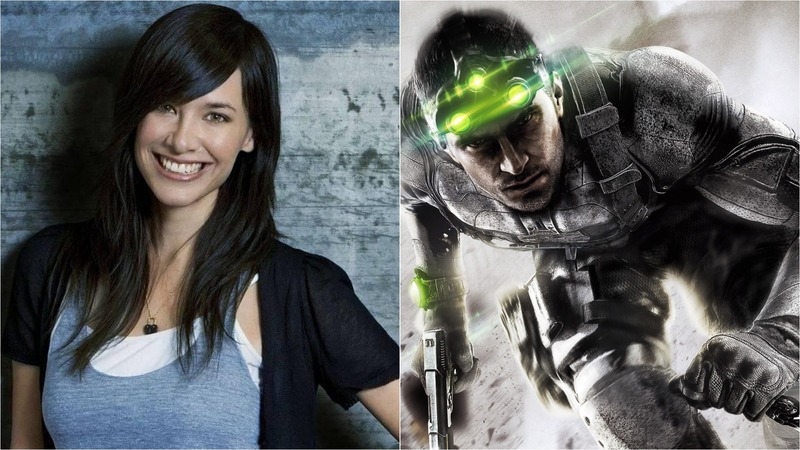 With regards to Splinter Cell, Jade Raymond revealed that she had worked with her team on a new design concept before leaving the company, though of course she cannot share the specifics. You know what? There is a design that we actually had and worked on and would have wanted to make, but since I am not at Ubisoft anymore I can’t talk about it and I don’t know who wants to share that concept. Splinter Cell fans had hoped to get an announcement for a new installment at E3 2018, but that turned out to be a fake rumor. In fact, Ubisoft CEO Yves Guillemot commented this September that he could not provide any details on such a project, merely hinting that the company intends each of the brands to live in the long-term. Perhaps 2019 could be the year for an announcement, then. It is unlikely that the project Jade Raymond worked on several years ago would be maintained intact, but parts of it could have been reworked into the next chapter of Sam Fisher’s adventures. We’ll see. Jade Raymond also commented on Assassin’s Creed becoming much more of an action roleplaying game over the past couple games (Origins and Odyssey). Assassin’s Creed became way bigger than anyone on the original team thought it would ever be. We thought there would be three games and now there have been twenty or more. In terms of the evolution, of course it’s become a lot more RPG focused. I think success is all about engagement, when you have a story that has a beginning, a middle and an end. When it’s over, engagement is hard to continue, but I think the solution to that is RPG systems. That’s where you get the long-term engagement and the more ways to interact with the world. So Assassin’s Creed has become a lot more RPG-like and that’s very interesting to me because when we first made it it was an action game. It was much more of a pure open world action game. That’s been interesting. And I think it’s also become a lot more about the user choice and systemic stuff and those are good things that are in line with players expressing themselves.